Yeah I was really low on chips at one time. 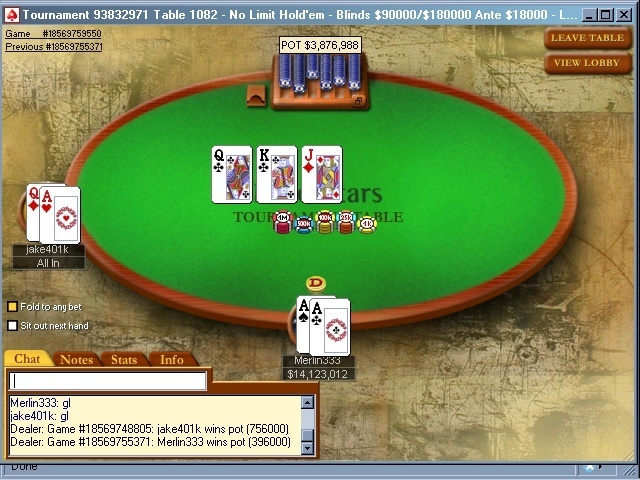 I started thinking/comparing how much I hate losing rather than like to play hands. I think I'll get the hand history and play it back - lol. Among the weaknesses in my game is a lack of patience. 100K game for 60 bucks) that "you don't respect your opponents game". Well I don't agree with that - sometimes reckless yes - BUT I came up with an exercise to help the problem. Every time I go out because of a lack of impatience I play a game of Omaha, preferably NL or a Hubble tournament as punishment. 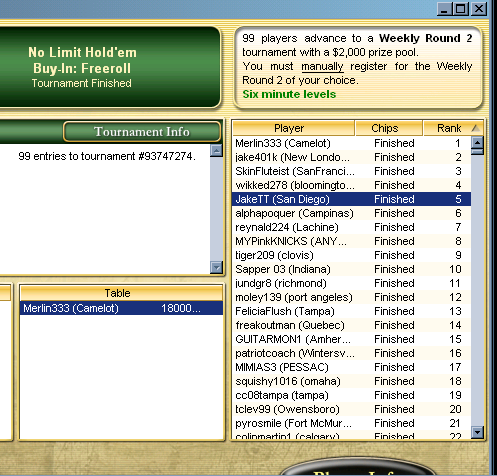 I hate Omaha (can't play it and always get busted by a FH and Hubble with 12,000 entries will try anyones patience). Last Hubble I WON!....... Hahahaha weakness cured..... NOT but it was fun anyway.